After I came back home from my visit to Rivington Barn with the Henshaws arts & crafts group last night, I attended an hour-long teleconference with the rest of the Envision steering group from 6pm to 7pm. For those that couldn't attend, I made some notes on my iPad during the call to share with them via e-mail this morning so that they are up-to-date with what was discussed during the teleconference. I thought I'd also make a blog post about it to share with the Envision network as a while via the Facebook and Twitter accounts. We followed an agenda that was e-mailed to us prior to the call and discussed each section and gave suggestions and feedback as a group. The agenda included next steps, keeping in touch with the wider network, maintaining the Twitter and Facebook pages and setting up future meetings. The first thing for us to think about was next steps in the campaign. Co-chair Nina suggested reaching out to the young members at Action in the West Midlands to get them involved with the mystery shopping survey, as well as young students at the QAC college, perhaps even meeting at a Starbucks so that they can test the service out together and have the staff approach them in the process. The current mystery shopper survey came into question about what we can do to make it more compact; we discussed perhaps offering an incentive (such being entered into a draw for book vouchers, coffee shop vouchers, etc.) and maybe even surveying on past experiences rather than have people going out to the shop itself - which is what may be a barrier for people completing the form for additional visits to other chains. The next thing on the agenda to discuss was keeping in touch with the wider network especially through our social networking accounts. 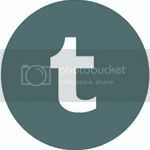 We've made progress with our Twitter, in that guidelines are currently being drafted which will be shared to those who will be contributing to the Twitter profile. 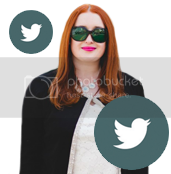 Twitter now has the option to update profiles so that they look slightly different. I've changed Envision's theme to compliment the new layout, which I personally think is a lot nicer and is easier to read - especially in terms of the previous text on top of the header that was used as a brief introduction and could be hard to read without VoiceOver. It has now been removed for those who have activated the new layout. Regarding the Facebook page, it's the same people contributing and commenting and we need to think of ways of involving more people. 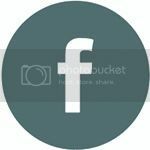 That could be down to not knowing how to use Facebook, so there are a couple of things that could be done to help. One of our co-chairs, Nina, has a document full of short commands for Facebook mobile which she'll be e-mailing to everyone, and also at the campaigner's convention in June there may be opportunities to have a social media workshop. I myself am a very keen Facebook and Twitter user, so if anyone ever needs any help I will be very glad to assist as well. 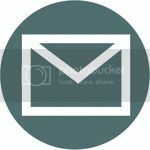 In regards to keeping in touch with the wider Envision network, I suggested perhaps having a short newsletter to send to everyone via post in their preferred format so that we're not just relying on e-mail as a form of communication. 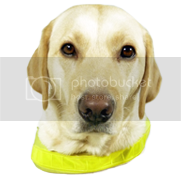 Getting these printed in preferred formats, such as Braille, can take a little while to produce so will need to be prepared in advance - but it's certainly something to think about. Another way of keeping in touch with everyone could be to send a short summary about what we've been doing via e-mail to circulate to the wider network and keep them updated and involved. We then discussed setting up future meetings and I believe the time period we decided on was to have teleconferences with each of our own subgroups every 3-4 weeks and then have a teleconference with the wider steering group every 6-8 weeks. As a group, we would like to have dates in advance so that we have them ready in our diaries so that events don't clash and so we have some prep time beforehand. Envision's next meeting will be over the weekend of the 14th and 15th of June during the campaigner's convention in Birmingham. It should be a really productive and educational weekend and I will of course keep you updated on the event! We talked about other campaigning networks, such as Haggeye (who we met in October) and Trailblazers, and how they can help us as a newly formed group. They will be more than happy to help and offer experience from their past campaigning work and we shouldn't be afraid to approach them and ask for advice. The final thing up for discussion was the paragraph that the comms group recently submitted, to be used in media, speeches and other forms of communication when introducing our campaigning group. It needs minor tweaking which will be done over the course of the next few weeks and then that will be finalised and ready to use. with over 3,500 unique page views! I want to say a big thank you to all of my readers, especially the team at Henshaws Society for Blind People and Irlam and Cadishead Now, for showing their constant support through sharing my blog entries with their wider Twitter and Facebook audiences. Your support means so much to me! A lot has changed since I first created my blog in October 2013 and I'm so grateful for all of the opportunities that have come my way since I've started blogging. 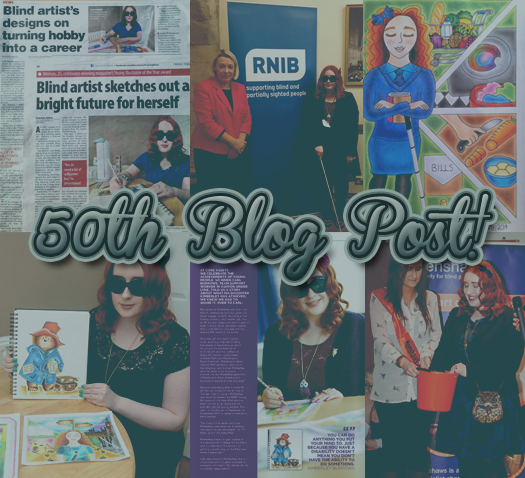 I've had the wonderful opportunity of becoming the RNIB's Young Illustrator for 2014, followed by a media whirlwind shortly afterwards, as well as being very lucky to have the chance to regularly contribute to the Henshaws blog - as well as give speeches at some really wonderful events. 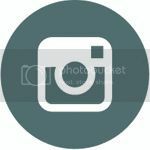 hope to reach my next milestone of 100 posts in the near future! I've now completed my fourth illustration for the RNIB's Insight Magazine, based on outdoor sports and activities. The illustration depicts my ongoing character (featured in all of my illustrations so far) in the centre riding a bike surrounded by an archery board, football and net, racket with a tennis ball and shuttlecock, and a cricket bat with a ball and wicket. I wanted to use this imagery specifically to represent some of the sports that have been adapted for blind and visually impaired people; blind archery, goalball, tandem cycling, sound ball tennis and cricket. 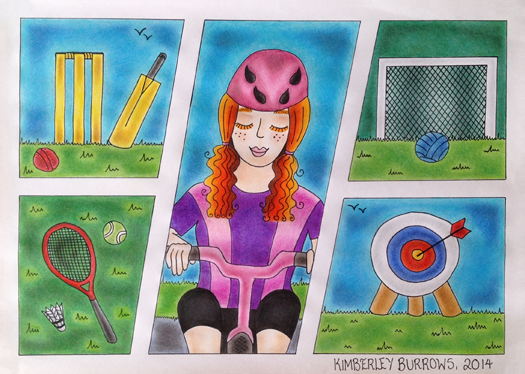 I have visually impaired friends who enjoy tandem cycling and playing cricket, so wanted to include those to represent their favourite sports and hobbies - as well as my own, which includes badminton (I don't mind playing occasionally, though I'm not very good! I much prefer to be hit by a lightweight shuttlecock than a tennis ball!) and blind archery which I have a new interest in. You can read more about sports for blind and visually impaired people by visiting British Blind Sport, the International Blind Sports Federation and Metro Sports Club for VI People. My third blog post with Henshaws has now been posted to their website and online blog! My latest entry details my illustrations for the RNIB's Insight Magazine and includes photos of the drawings I have completed so far - including my illustration from the current issue! 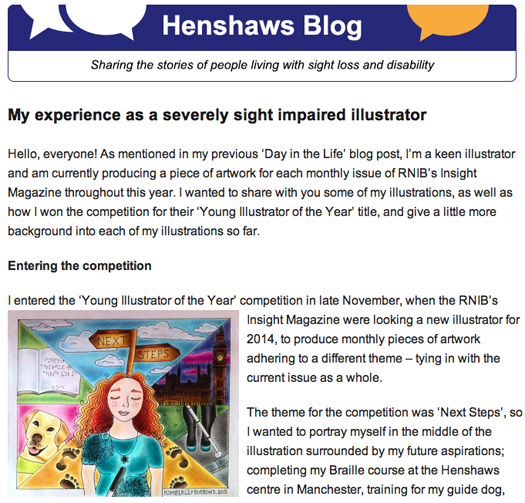 This entry follows on from my previous Day in the Life blog entry, where I briefly mentioned that I'm a keen illustrator and produce drawings for RNIB's Insight Magazine as their young illustrator, and will continue to do so for each issue throughout the year. 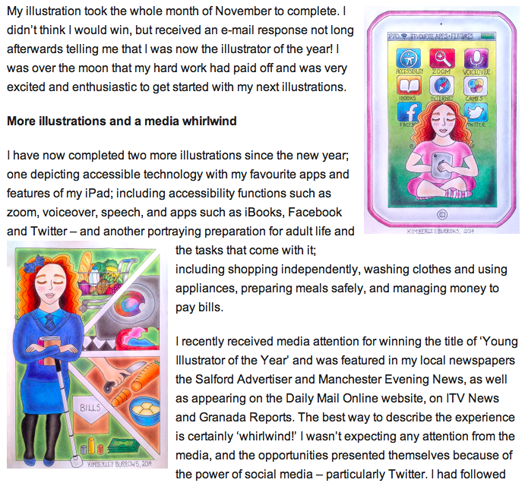 I explain how I entered and won the Young illustrator of the Year 2014 competition before Christmas with a piece that depicts my next steps in life, and the media whirlwind that followed shortly after completing my second illustration - thanks to the power of social media! You can view my blog post with Henshaws by clicking here or on any of the above images. My next blog entry will be posted in a fortnight and will go into detail of how I illustrate as a severely visually impaired person, including how I organise my tools and manage and distribute my time between drawings. I'm now finishing off my fourth illustration and will post it here when it's completed! I want to wish all of my readers a very Happy Easter! I hope the Easter Bunny is very generous with his chocolate eggs and treats today, and wish you all an enjoyable break in the sunshine! 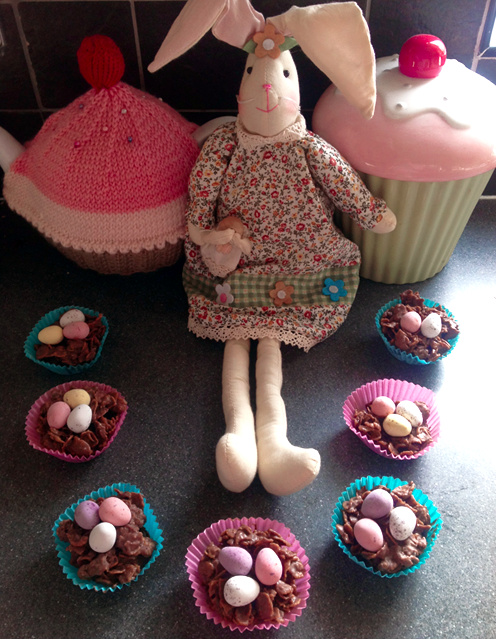 I made some simple chocolate cornflake nests earlier this week, topped with Cadbury Mini Eggs, with help from my mum and Miss Bunnykins, pictured above. Today I will mostly be resting and, if the weather picks up here in Manchester, have my lunch in the garden. Tomorrow I shall resume work on my fourth illustration for RNIB's Insight Magazine and my composition for John Lewis' 150th birthday! Last Thursday, on April 10th, the Envision Steering Group met at the RNIB HQ, at Judd Street in London, for a campaign skills training day. It was led by our co-chairs of the network, Adele and Tom, with help from the regional campaigns officers from across England. The aims of the day were to be able to think through a campaigning issue and identify a plan of action to meet the goal, have a knowledge of the five golden rules of campaigning and have confidence to guide local campaigners on campaigning techniques. We began the session by introducing ourselves to everyone and each providing a ground rule to add to a list for us to follow throughout the rest of the session. Aims of the day and the agenda were also presented by the co-chairs of the network. After the introduction, each member of the steering group gave a small presentation regarding a different golden rule of campaigning, assigned to them before the day, briefly discussing what the particular rule is, how it can be implemented into a campaign, and giving insight into their own experiences of past campaign work. We then moved onto a group activity, led by the regional campaigns officers, and divided into small groups of three to plan the actions we would undertake in the example scenario given to us. I worked with Fran, from the campaigns planning sub-group, and we were presented with the scenario of obstructive A-boards outside shops. We planned the process of the campaign we would undertake in this situation, incorporating the five golden rules as our framework and outline - identifying whether a campaign was needed for this issue, setting our objectives, defining the target audience, pinpointing key people and groups to involve, making links between the core aim and their interests and concerns, how we would gather accurate evidence and research statistics, how to define good timing, build solid partnerships and measure success. After lunch, we finalised our campaign plan and jotted down notes to present to the group as a whole. Each group then gave feedback on their scenario to rest of the steering group, discussing the situation they were given and outlining the structure they would operate to meet the campaign goal. Hugh Huddy from the campaigns team at the RNIB, who we met at the previous steering group meeting in February, then entered the room to hear some of the feedback on our campaigning scenarios and asked whether we now felt more confident after planning our first campaign outline. I must admit that I do feel a lot more self-assured and optimistic about planning a campaign action plan now, whereas before I was a little uncertain - as I had never had the chance to draft one before. Hugh gave some insight into his experiences with campaigning and shared with us that he too was nervous to begin with when it came to campaigning - so this was a relief for us to hear! We briefly discussed the coffee shop 'mystery shopping' results, submitted from the Envision network so far, defining which areas need to be improved for accessibility (menus, staff awareness, staff training). Thinking about the activity we had just completed, we thought about the next steps we need to take now that we have gathered evidence. We also discussed the recent Business Boomers programme from the iPlayer and how we can integrate some of the things that were mentioned in it into our campaign. It was then time to recap on the ground rules, the aims of the day, whether we had achieved everything that we planned to, and then wrap up the day's campaigning skills session. The Envision steering group will be having 2 teleconferences on the 28th and 29th of April to recap on the day in London and the next steps that we want to take with our campaigns planning. 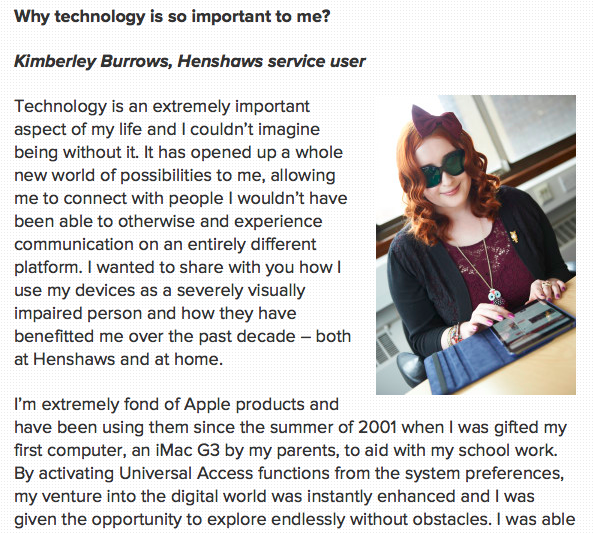 I recently wrote an article for the Henshaws Bright For Sight website about why technology is important to me and how it has benefitted me, both at home and at Henshaws. It details my experience with Apple products, from my first iMac G3 13 years ago up to the present day with my iPad. 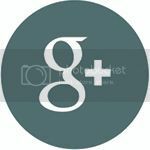 I also explain the accessibility functions I use and how the internet has opened up a whole new world of possibilities for me. You can read my article at the website by clicking here and scrolling towards the middle of the page. 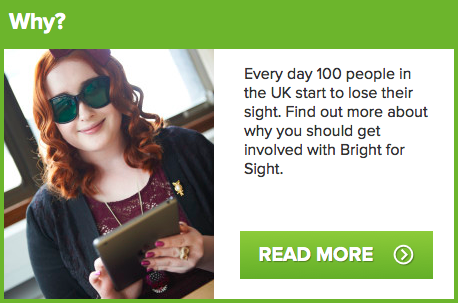 I hope to get more involved with Bright for Sight over the year, and even have my own colourful idea in the works for raising money for other visually impaired and blind people. I will post more details in the coming months when I have planned it in more detail and have a few prototypes to share! Here are some of the upcoming events I'll be attending during the following two months. More will be added when they are arranged! Envision Steering Group meeting, training day and campaigns workshop at Judd Street in London. I'll also be providing some sketches and ideas of 'thank you' cards to the RNIB team, who have kindly asked me to design cards for their patrons of the charity. Teleconference with the Envision Steering Group discussing the recent training day in London and how we have taken forward the actions from the previous meeting at Judd Street. Focus Day at Henshaws showing an array of magnifiers and other available aids. Meal with the Arts & Crafts group at Rivington Barn in the afternoon. Visit to the Manchester Art Gallery with the Henshaws Art Galleries & Museums group, for an audio described talk and tour of "Art for All: Thomas Horsfall's gift to Manchester" I will then be making a blog post for the Henshaws blog regarding the group and tour. Conference with the Greater Manchester Police Crime Commissioner, Tony Lloyd, to discuss the reporting process of crime, as well as gathering suggestions and feedback on how the process can be more accessible to visually impaired and blind people. Also advising on how to keep safe and prevent oneself from becoming a victim of crime in the local area. The start of Skillstep -a 12 week training course, provided by Henshaws Society for Blind People, and supported by the Big Lottery Fund. It is a practical course and beneficial for those who are seeking employment or voluntary work, or for those wanting to go into further education. Skillstep also delivers the perfect opportunity to boost confidence and independence, and expand social circles. The Spirit of Salford Weekender, providing two days of celebrations featuring everything that makes the city special. A variety of events will be taking place at the Salford Civic Centre. Teleconference with the Envision steering group discussing the Campaigners' Convention in Birmingham on Sunday, the workshops we will be attending individually and distributing notes across the network to expand our knowledge of key skills and implementation during our own coffee shop campaign work. Visit to the RNIB Campaigners' Convention in Birmingham, meeting with other local campaigners and exchanging hints, tips and ideas for effective campaigning. Agenda includes; campaign experience sessions led by volunteer campaigners sharing their knowledge and challenges of past campaign work, campaign skills workshops covering everything from media skills to lobbying and story-telling, plenary sessions, guest speakers and campaigner Q&A's. You can view my previous events by clicking here! The new issue of the Henshaws Vision newsletter was released this week! 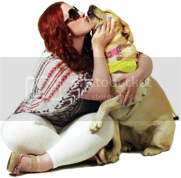 I have a double-page feature detailing my sight loss and a typical day in my life as a visually impaired young person. There is also useful information regarding cataracts, their symptoms and available treatment. You can view the newsletter scan and articles below! Kimberley was born as a premature baby, suffering from cataracts that were overlooked until she was 4 years old. After it was discovered by a Specialist that she had cataracts in both of her eyes, she was forwarded to Great Ormond Street Hospital in London for operations to remove her natural eye lenses and replace them with plastic ones to eliminate the cataracts. Unfortunately, the cataracts kept growing back behind her implants so the operations had to constantly be repeated. She had an Iridectomy to remove part of her iris to further help with the removal of the cataracts. Kimberley now has only a small amount of useful vision in one eye. "When I wake up, I like to check my e-mails and read the news using my iPad with its various accessibility features. 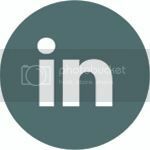 I have zoom, large bold text, high contrast and voiceover functions enabled to enhance my experience as much as possible. 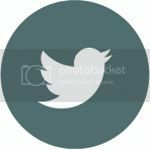 My iPad is an incredibly valuable tool to me, giving me the freedom to communicate via my blog and social networking sites independently. As the RNIB Young Illustrator for 2014, I'm e-mailed a different theme on which to base my illustration each month. I like to prepare by sketching some ideas and choosing colour palettes, and will then draw a draft version to properly translate my final thoughts onto paper. I will spend the majority of the month working on my illustration, doing a little bit each day, with help from my Daylight lamp and folding bed table. I try not to exceed about an hour a day, as my small amount of useful vision will get too strained! I have also been asked by Henshaws to produce a composition which will be displayed on the John Lewis community art wall at the Trafford Centre, which I'm currently working on. On Fridays I visit Henshaws in Manchester for the Braille Group and Arts and Crafts Group. 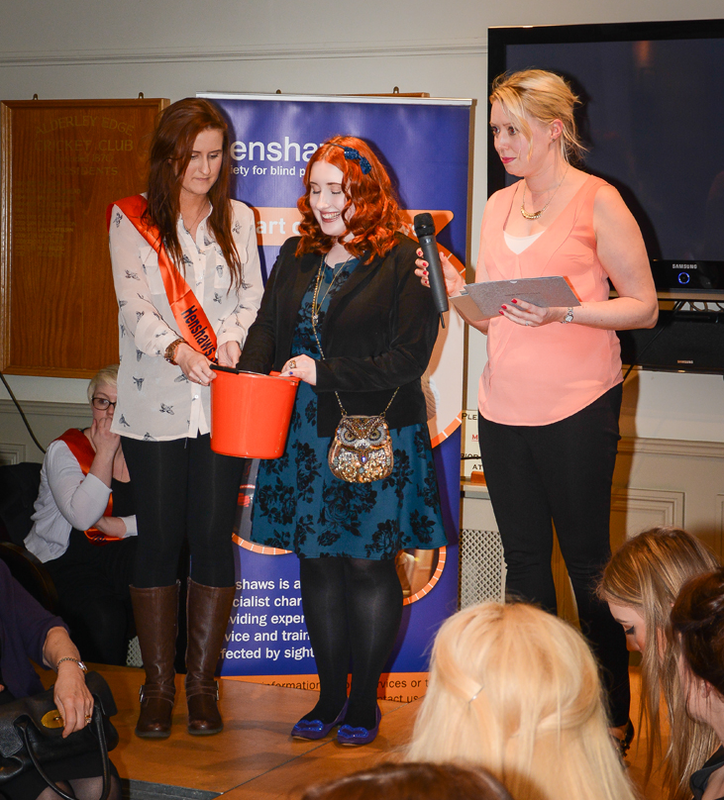 Before I came to Henshaws, my visual impairment had affected my confidence and I was very shy and reserved around others. Since coming to these groups my confidence has grown and I really enjoy the social aspect of being with other visually impaired people and bonding over new skills. Braille has become one of my hobbies after studying it at Henshaws, so in the evening I like to do some Braille revision, practicing dot combinations and reading through the Fingerprint course books." My mum also spied one of my tweets and a photo from the Pride of Henshaws Ball included in the newsletter too! A big thank you to the Henshaws team, especially Helen, for the wonderful feature piece and other little cameos in the newsletter! This is my first time being involved with Vision and I enjoyed writing for it very much! The new issue of the Vision newsletter by Henshaws is available now in PDF and large print formats. Previous issues can be viewed here. 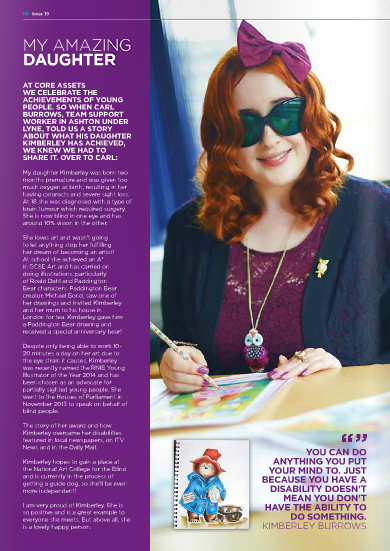 I'm featured in the new issue of The Core Magazine (issue 19), regarding my illustrations and determination to overcome barriers as a severely visually impaired young person. My father is a support worker for the Foster Care Association / Core Assets and was approached, after the team had seen my interviews on Granada Reports and in the local newspapers, to help with a feature piece about me for the upcoming issue of their very own magazine. My daughter Kimberley was born two months premature, resulting in her having congenital cataracts and severe sight loss. At 18, she was diagnosed with a type of brain tumour which required surgery. She is now blind in one eye and has around 10% vision in the other. She loves art and wasn't going to let anything stop her fulfilling her dream of becoming an artist! At school she achieved an A* in GCSE Art and has carried on doing illustrations, particularly of Roald Dahl and Paddington Bear characters. Paddington Bear creator, Michael Bond, saw one of her drawings and invited Kimberley and her mum to his house in London for tea. Kimberley gave him a Paddington Bear drawing and received a special anniversary bear! 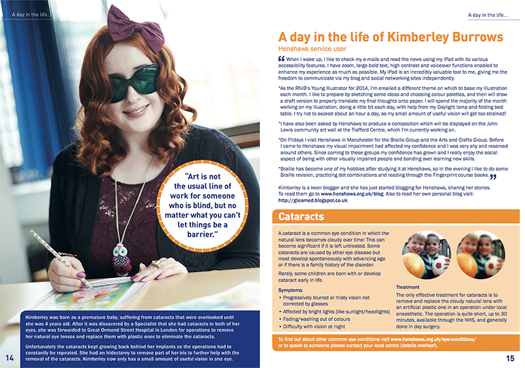 Despite only being able to work 10-20 minutes at a time due to the eye strain it causes, Kimberley was recently named the RNIB Young Illustrator of the Year 2014 and has been chosen as an advocate for young blind and partially sighted people. She went to the Houses of Parliament in October 2013. 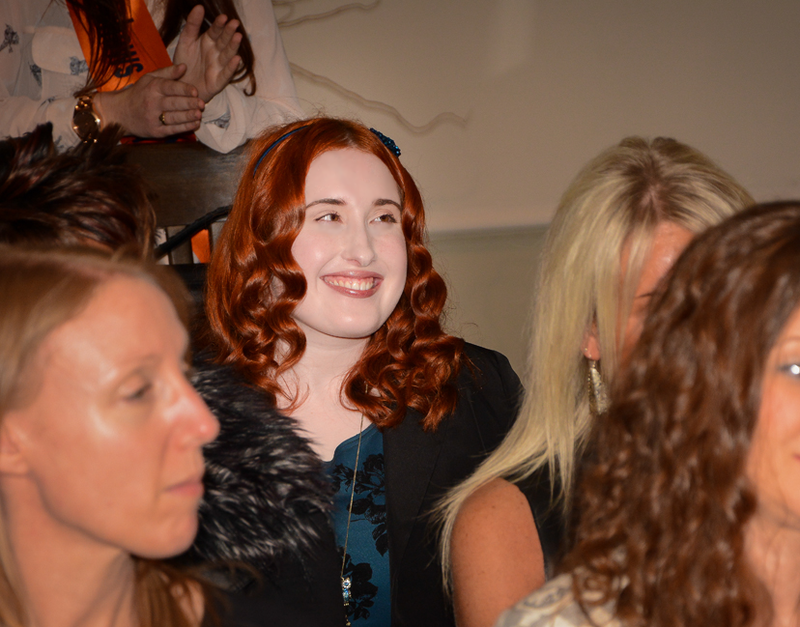 The story of her award and how she overcame her disabilities featured in local newspapers, on ITV News and in the Daily Mail. Kimberley hopes to gain a place at the Royal National College for the Blind and is currently in the process of getting a Guide Dog, so she'll be even more independent! I am very proud of Kimberley. She is so positive and is a great example to everyone she meets. But above all, she is a lovely, happy person. Thank you very much to Core Assets and the The Core Magazine team for such a lovely article and for featuring me in the new issue! Also a big thank you to my dad for helping to write the piece and for sharing my story with his work colleagues and friends! 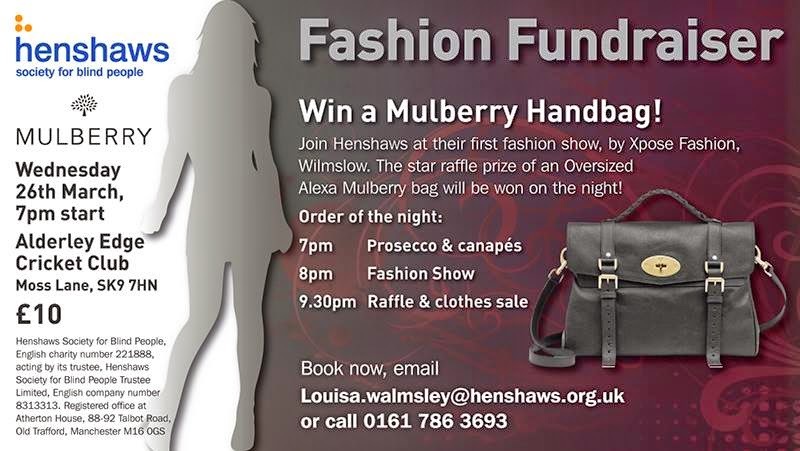 The Henshaws Fashion Fundraiser took place on Wednesday, 26th of March, at Alderley Edge Cricket Club in Cheshire. 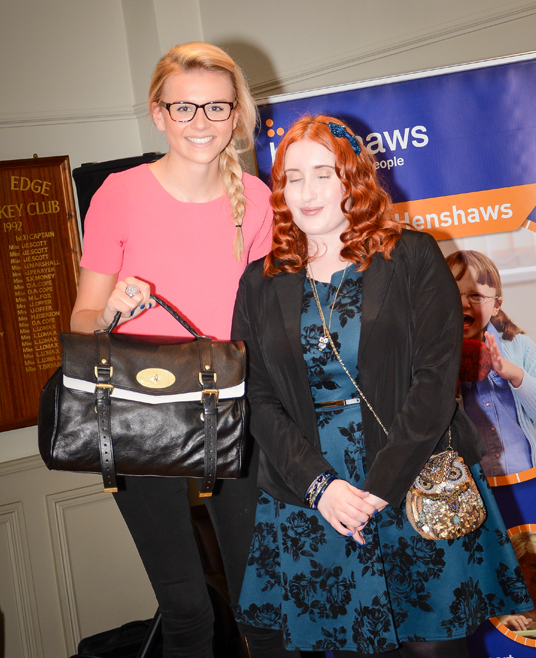 I was kindly invited along to the event, to give a speech about my sight loss, how Henshaws has transformed my life over the past 7 months, and also tying in the fashion aspect of the evening by sharing how I purchase and select clothes as a visually impaired person. The event began with the Henshaws Short Film being played to the audience, introducing the charity to those who may not have heard about it before and to also represent the service users and how the charity has benefitted them - and how the funds from the event will continue to make a difference. It was then time for my speech, briefly explaining my sight condition and how Henshaws has helped me since I started visiting the Manchester centre, as well incorporating the theme of fashion and providing insight into how I piece together an outfit with the help of handy organisation skills and the RNIB PENfriend - an electronic device for the blind and visually impaired. This may have been something that people never gave much thought to before, so hopefully it was quite interesting and informative! I gave a demonstration of how I use the PENfriend, with machine-washable labels, to differentiate between similar clothes that feel the same - which I have trouble with. Some items can be identified due to the weight of the fabric and any tell-tale details stitched onto the item of clothing, and accessories can be distinguished from one another - such as my jewellery and hair bows - from the particular elements featured including rhinestones and sequins. I received such a wonderful response from my speech and had some especially lovely comments from people who came up to me towards the end of the night. That really made my evening, particularly since I was quite nervous to start with! 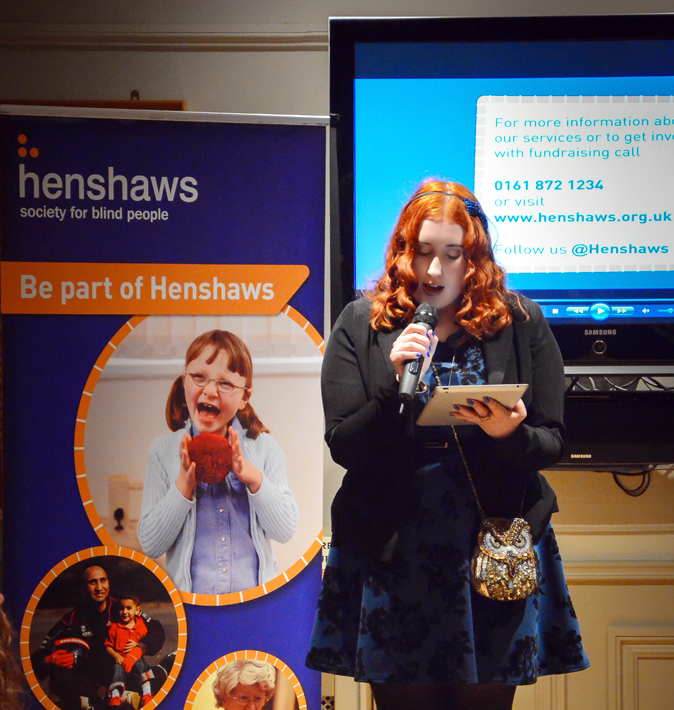 This was only my second speech with Henshaws (and my second venture into public speaking overall!) but already I am feeling a lot more comfortable with it. After my speech and demonstration, the fashion show rolled out with full force. Clothing was kindly donated by local brands for the evening and the models strutted their stuff on the catwalk. Key pieces integrated colour palettes and patterns from the upcoming spring and summer trends, including soft pastels, bold patterns and loose fabrics. A big thank you to Helen for being so kind as to describe each outfit to me! Halfway through the fashion show, we were treated to a make-up tutorial from freelance make-up artist, Frank, who demonstrated some of the latest looks for the spring and summer including make-up from MAC and Sleek; with winged eyeliner, contoured features, peach blush and a light pink lip. 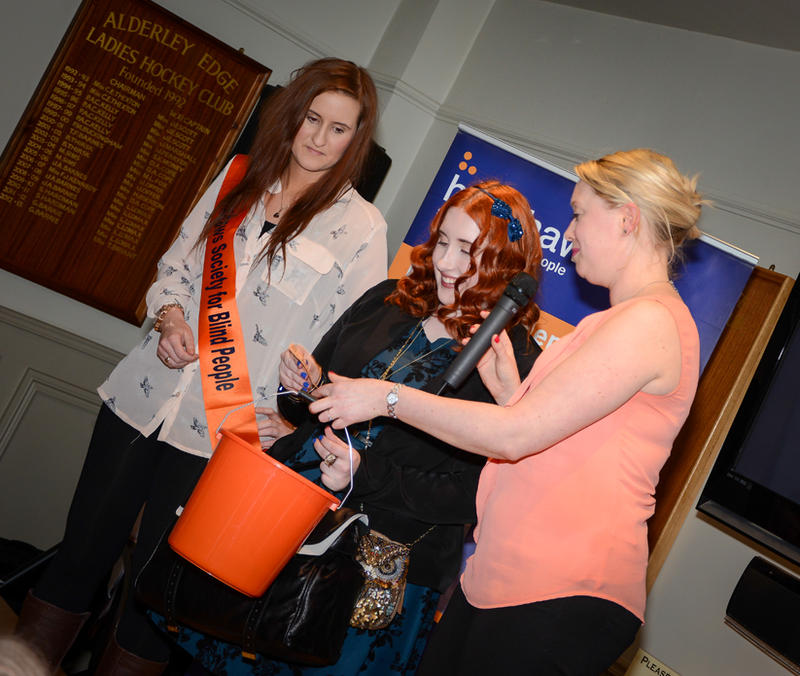 After the fashion show wrapped up, it was time for the raffle prizes to be handed out! I drew out each winning raffle ticket and the wonderful prizes included afternoon tea, John Lewis vouchers and a champagne experience. Well done to everyone who won something, including our very own photographer for the evening, Keith Ogden! The Mulberry Alexa bag, in soft buffalo leather, was up next - generously donated by Mulberry. Congratulations to Sarah (@sarahmarginson) for winning the bag. Very well deserved, and the envy of everybody that evening! 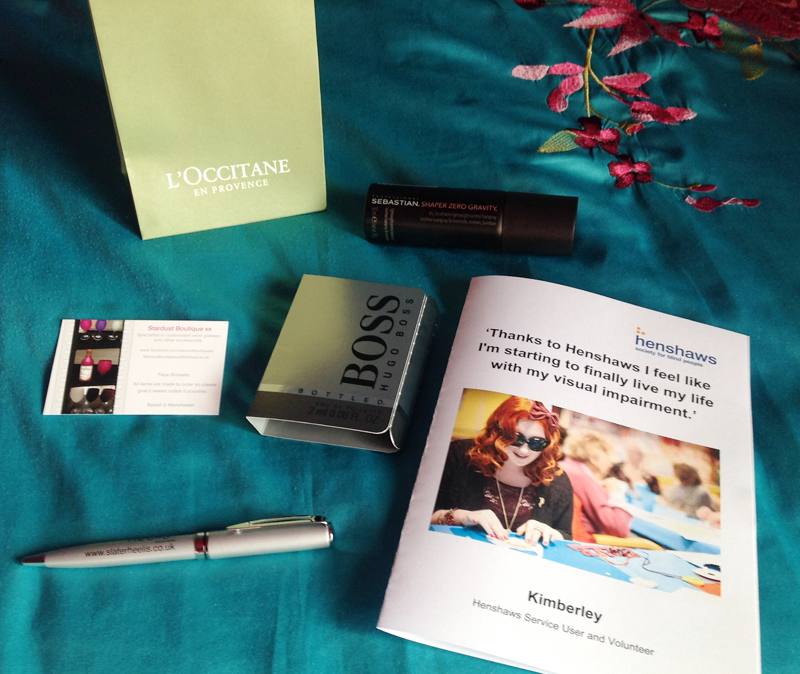 Everyone who attended the event received a goody bag, filled with all sorts of wonderful items - including a Sebastian Shaper Zero Gravity hairspray, Hugo Boss Bottled eau de toilette sampler, Slater Heelis pen, and L'Occitane En Provence gifts; samples of Repairing Shampoo for Dry & Damaged Hair (Red's The Best of Beauty 2013 and The Ultimate Natural Beauty Bible Winner 2014), Immortelle Precious Serum (Harper's Bazaar's Beauty Hot 100 List 2012) and Immortelle Precious Cream. 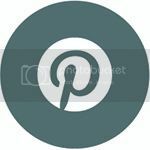 I've linked to all of the products and their official websites so that you can have a closer look at the ingredients, item descriptions and prices of the full-sized products. 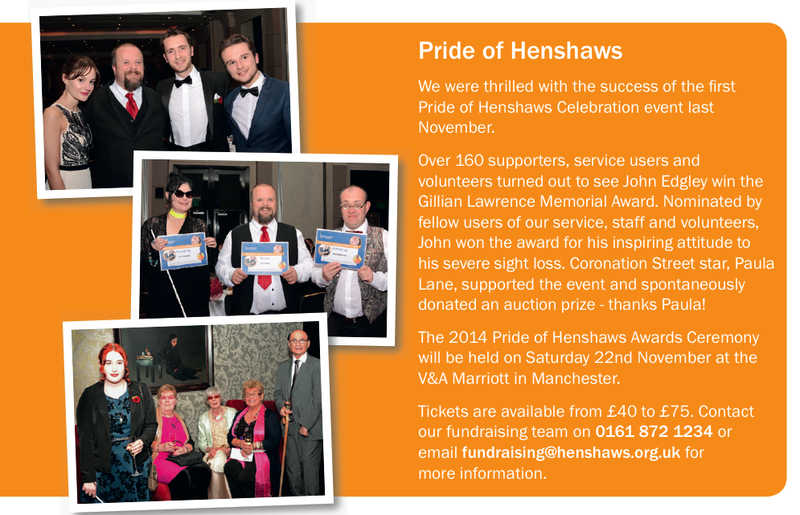 Also included in the gift bag was a Henshaws leaflet, detailing the work that the charity does and how the money from fundraising and donations is distributed across the various services - such as Friendship Matters groups, the Children and Families service, the Patient Support service at the Manchester Royal Eye Hospital, IT training, Visual Impairment Awareness training, and independence courses. It costs £510,000 to run the Manchester centre in one year, which is just over £2,000 per day. I had an absolutely fantastic evening, and want to give a big thank you to the team at Henshaws for inviting me to the event and for their wonderful support and encouragement for my speech - including Helen, Louisa, Jo, Glenn and Hayley. Also a big thank you to Keith for the photographs and to everyone who attended the event and helped to raise £2,000 for Henshaws! I recently uploaded an AudioBoom snippet about the Henshaws Fashion Fundraiser, which you can either listen to here or by clicking on the player below.